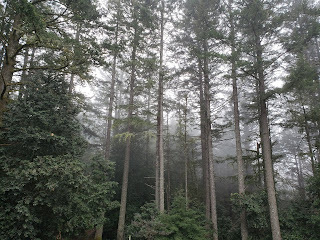 Fog is essential for Redwood Trees. Most of the water the forest gets over the dry Summer months in California comes in the form of fog that is captured by trees or converted to rain that falls within the dripline of the trees. You only find wild Redwoods where there is Summer fog. The needles of Redwoods are designed to capture fog and turn it into rain. Our home is at the edge of the Redwood Forest. 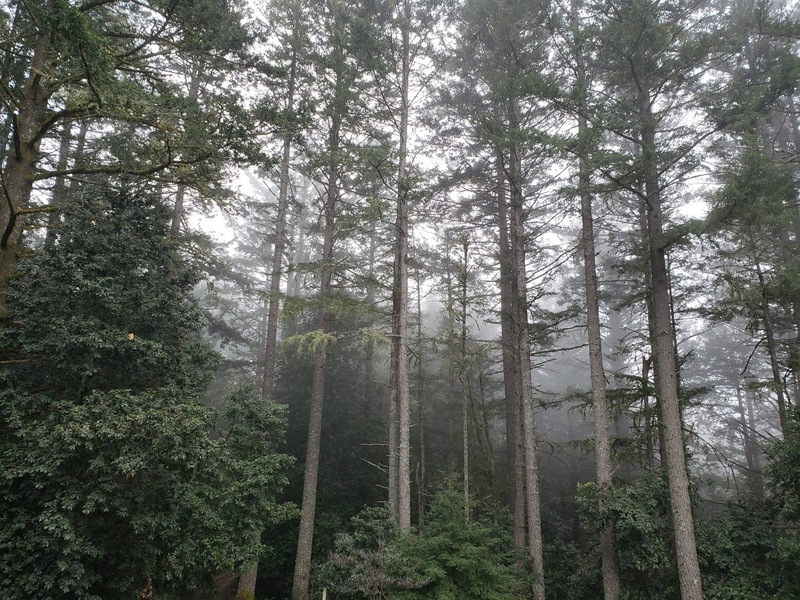 About one-third of the yard is in wild second-growth Redwoods. Much of the rest is Douglas Fir. Both these species actually act as precipitrons, with the needles electrostatically charged relative to the fog flowing over the mountain, resulting in fog droplets collecting on the tree needles. This in turn becomes larger droplets, until they are too large to remain on the leaf and fall to the ground. Locally this is known as "Fog Drip", and it more than doubles the rainfall under the Fir and Redwood trees relative to open ground rainfall. The entire ecology of the Redwood Forest is dependent upon Fog Drip to keep alive through the warm and dry summers (no actual rain typically falls between June and October). When I moved here twenty years ago, I thought "Wow - I can grow a lot of vegetables!". True enough, though the ones I finally started to succeed with were not the ones I started with. In years that are typical of coastal Redwood Forest, it is a race between getting my first ripe tomato of the year and the first frost of the Fall. In more atypical years, I get ripe tomatoes in July. We've had lots more of these later types of years lately, and they stress the forest mightily. At least this Spring, we still have the life giving fog. This is the view of the Fir trees from our deck. While the fog keeps the yard colder than most folks like (not exactly swimwear weather), there are other compensating wonders, such as the reductionist Lilies: Trillium. Southern California and the deserts have superblooms. Our forests have their own version. Rather than carpets of color that run for miles, there are sublime blossoms to be found in the deep mossy places. Added bonus: no sunburn! 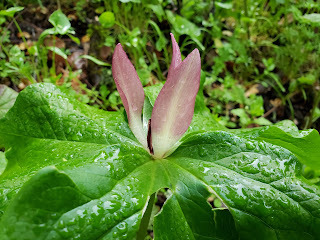 This is a local color form of Trillium chloropetalum. More typically flowers of this species are pale green on the coast, or brick red east of the coastal slopes. 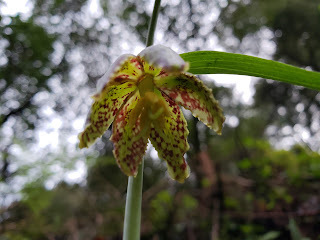 We also have true Lilies - they will not be flowering locally for months, but the dwarf Checker Lilies are in flower now (Fritillaria affinis) often among the Trilliums. You can't find our superfog superflowers from miles away, yet when you do find them they are sublime additions that make the day brighter.